Jehan Li and Mia Qi took advantage of a U.S. law, nicknamed the “golden visa,” that offers green cards to foreigners who invest $500,000 in the United States. They say they want to give their son, Oscar, a shot at a brighter future. 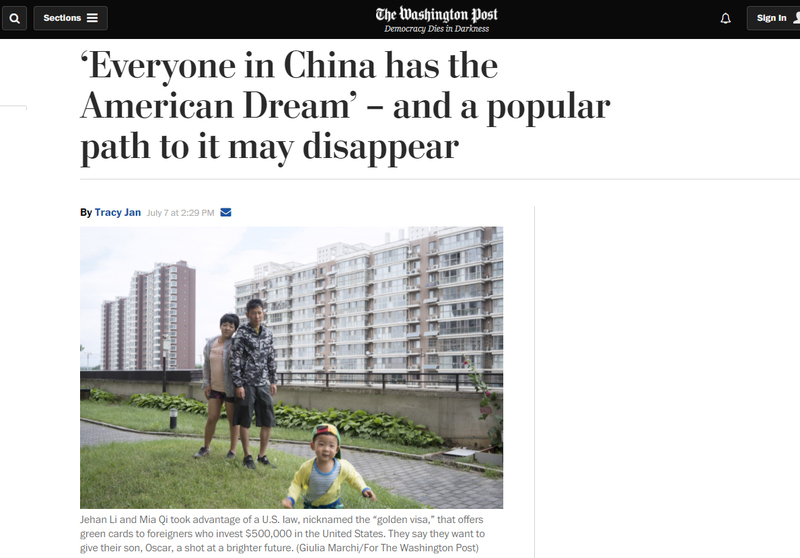 Their son was barely a year old when Jehan Li and Mia Qi plunked down a half-million dollars for the boy to have a shot at a brighter future in America — away from the grinding competition of a Chinese education and this city’s smog-choked air. Last December, having made just a single visit to the United States on their honeymoon, the Chinese couple took advantage of a U.S. law, nicknamed the “golden visa,” that doles out green cards to foreigners who invest $500,000 in the United States.